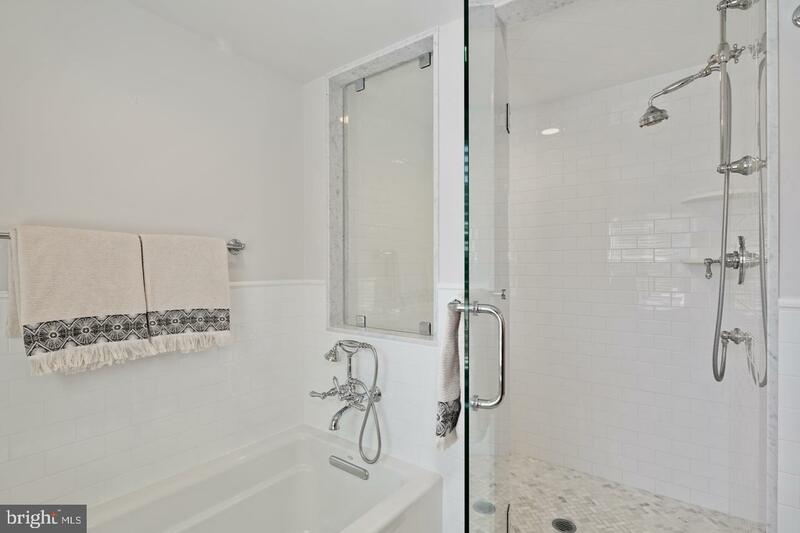 Welcome to 2120 Delancey Place! 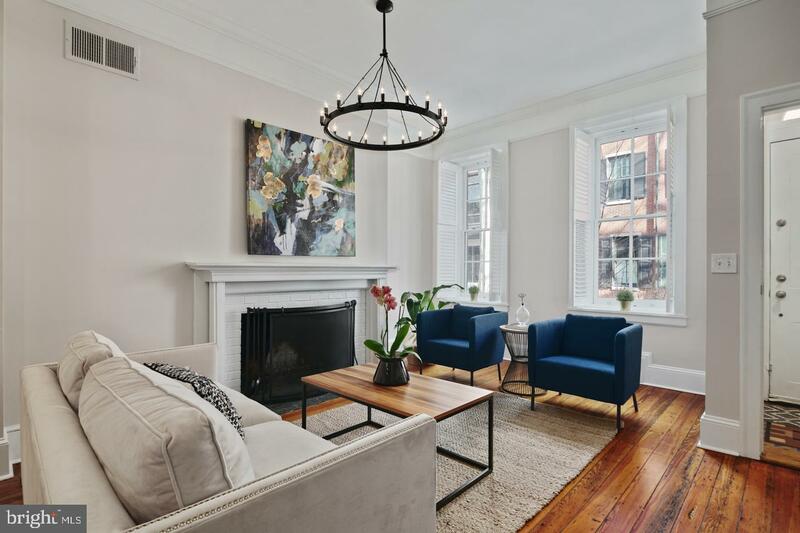 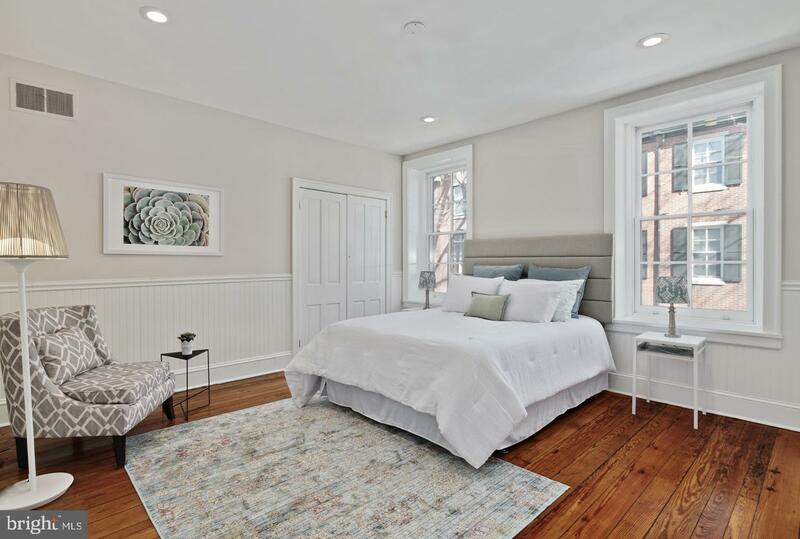 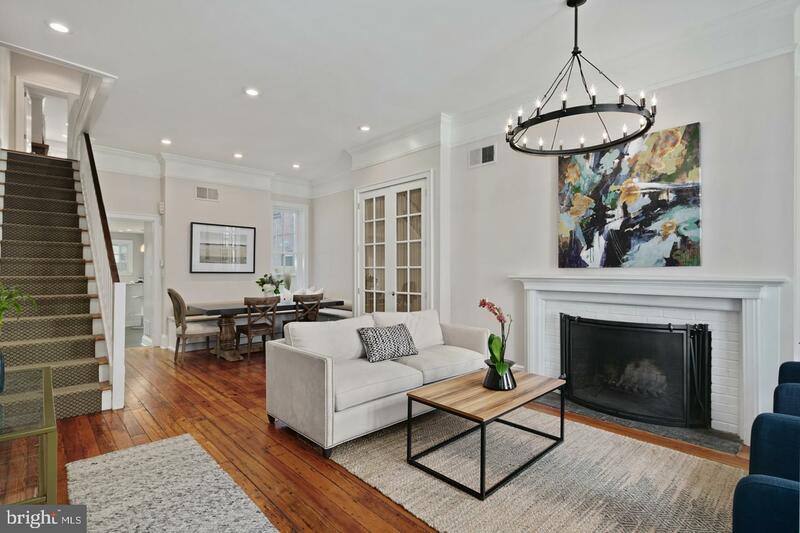 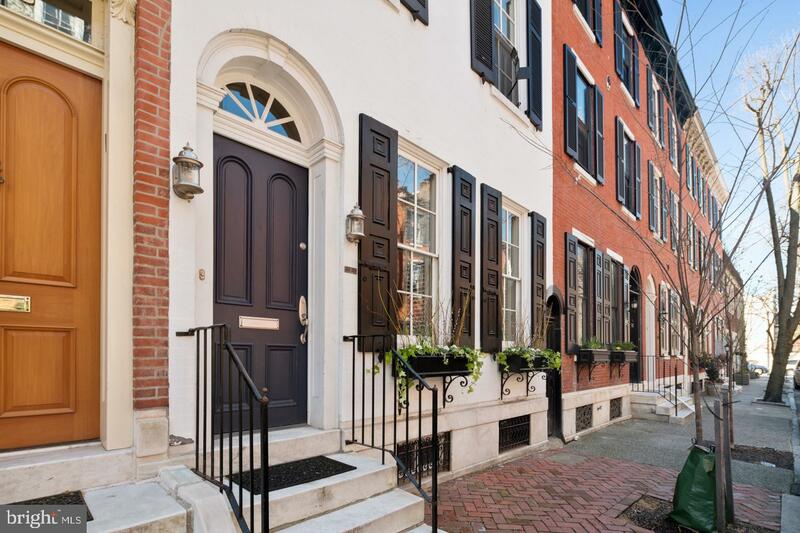 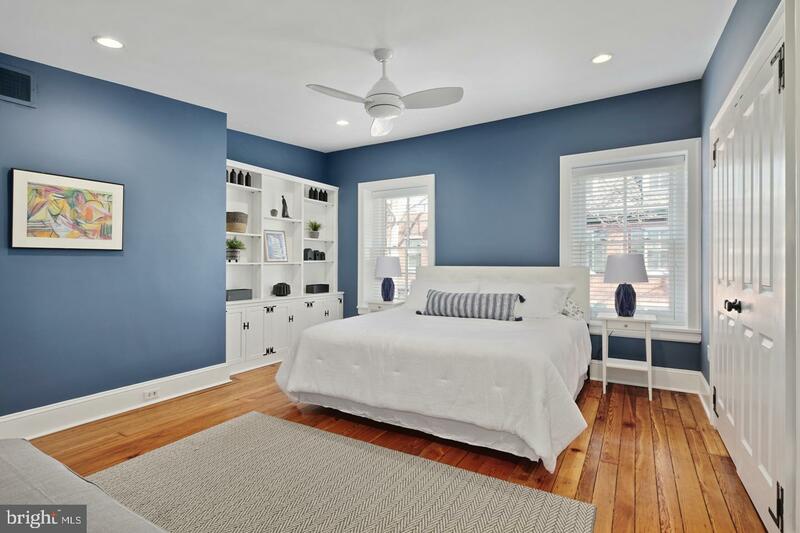 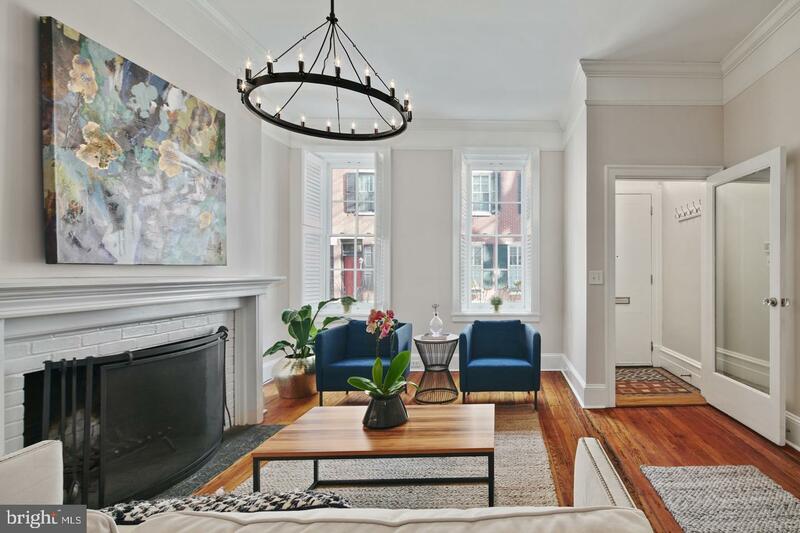 This 4 Bedroom townhouse in Rittenhouse Square is the perfect blend of original details and modern design situated on a quiet tree-lined street. 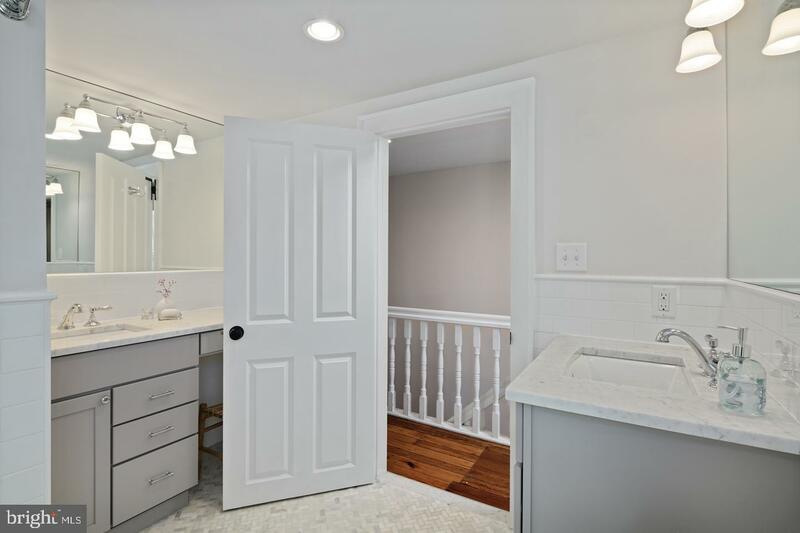 Enter into charming vestibule with a single panel glass door. 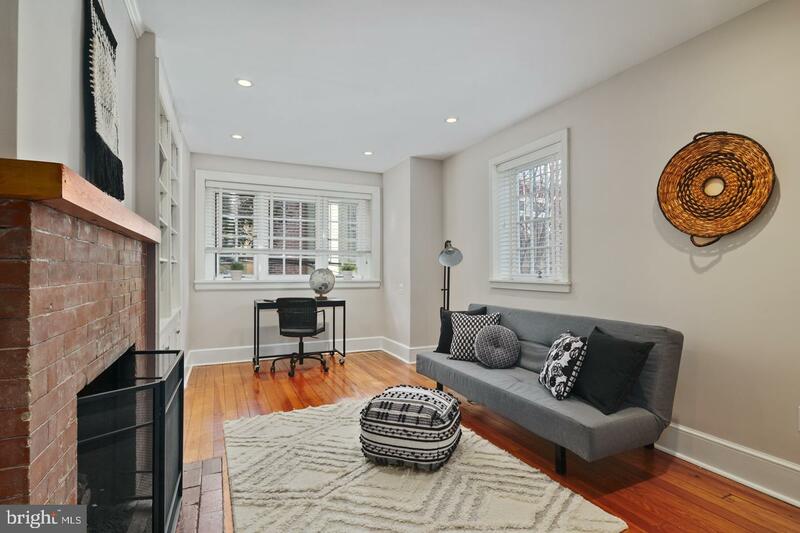 Through the vestibule is the spacious living room with original hardwood flooring, high ceilings and wood burning fireplace. 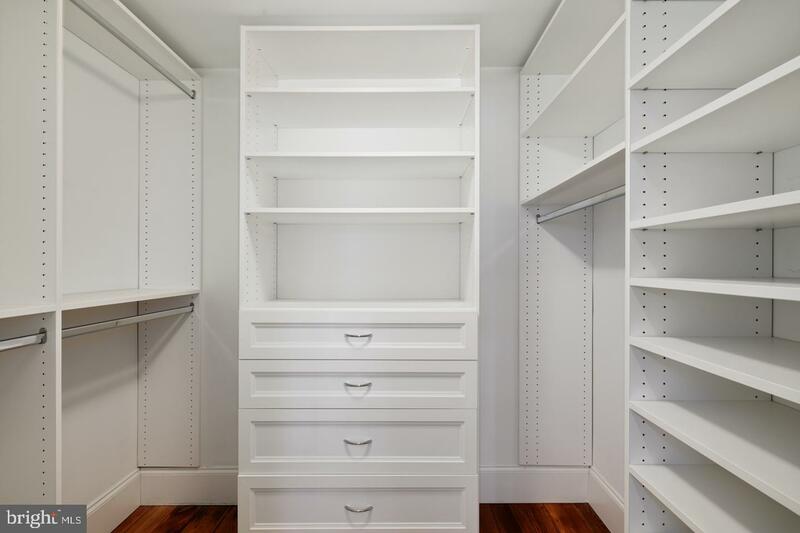 The living room also features a custom closet - fully outfitted for hanging coats and storing everyday essentials. 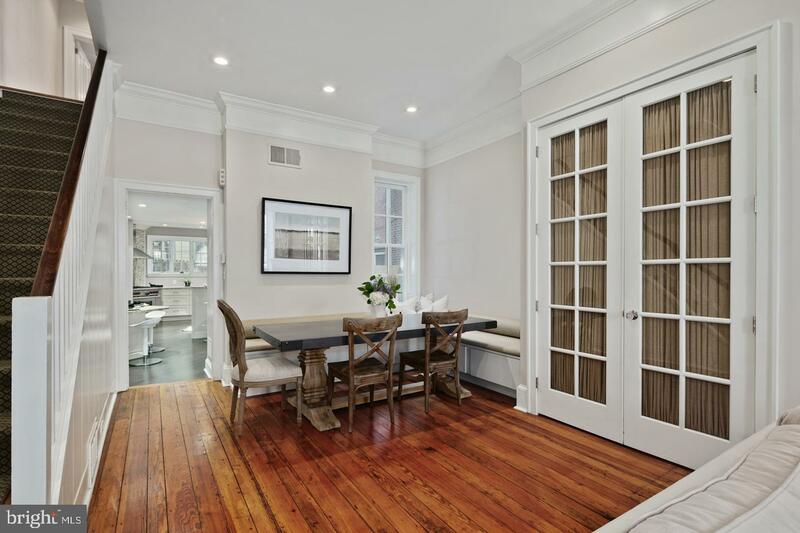 Open to the living room is the dining area with a built-in banquette. 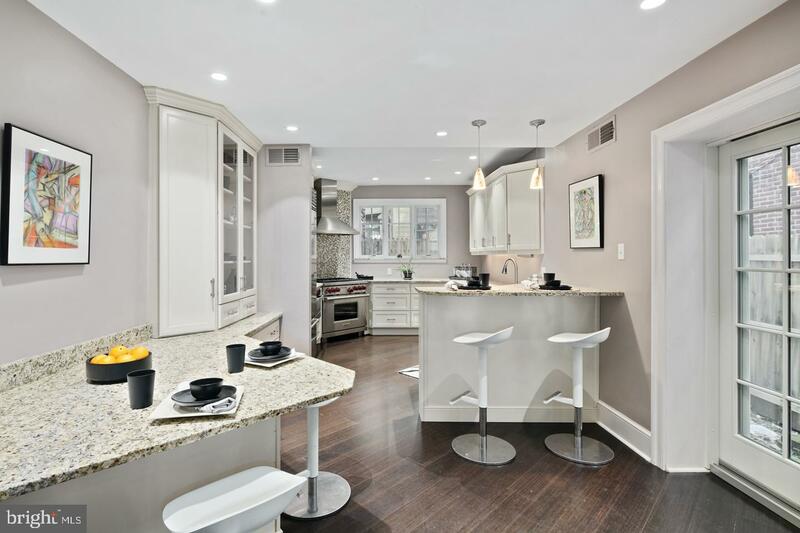 Past the dining area is the kitchen -- a high-end renovation featuring custom cabinetry with plenty of storage, granite countertops plus built-in seating for 6 people. 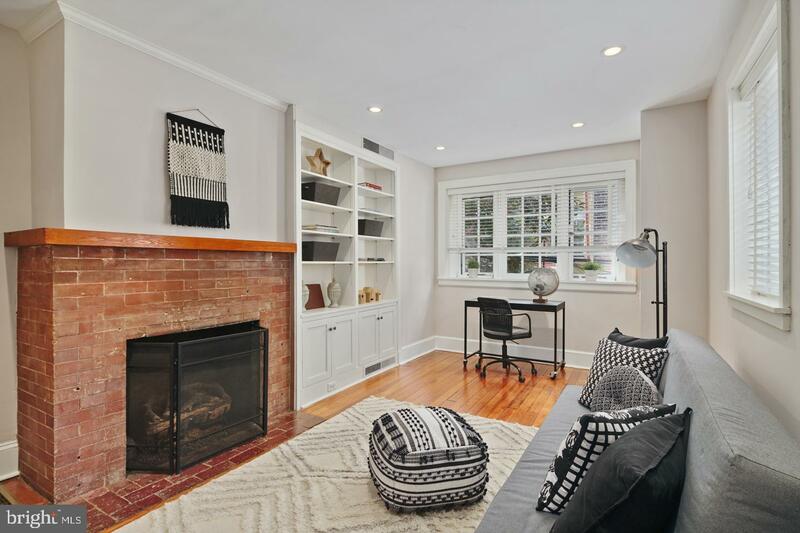 The appliances will please the chef in the house -- a 36'' Wolf range with vent hood, built-in Sub Zero refrigerator, Miele dishwasher and Sharp microwave. 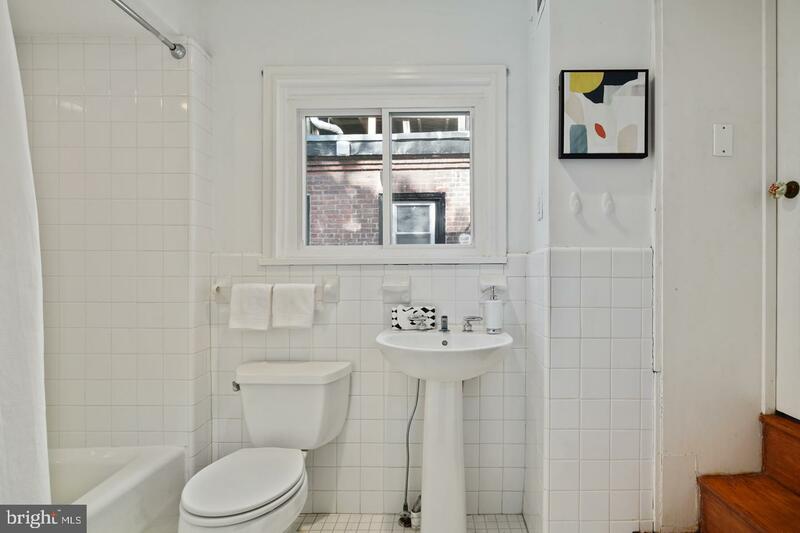 Also off of the kitchen is a conveniently located powder room and glass sliding door that lead to the brick garden with space for a grill and access to the side easement to the street -- perfect for bikes, and bringing out the trash. 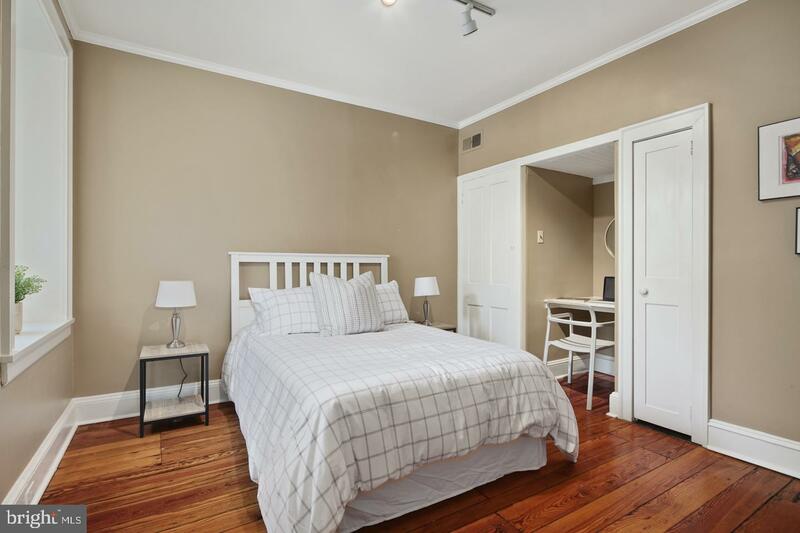 The 2nd level has 3 spacious bedrooms, a full hall bathroom with tub, and the laundry closet. 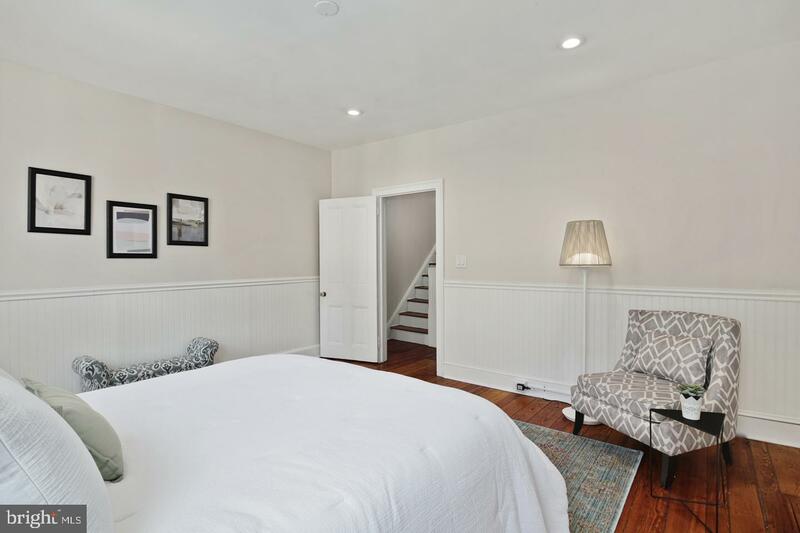 The 3rd floor is the newly renovated master bedroom suite. 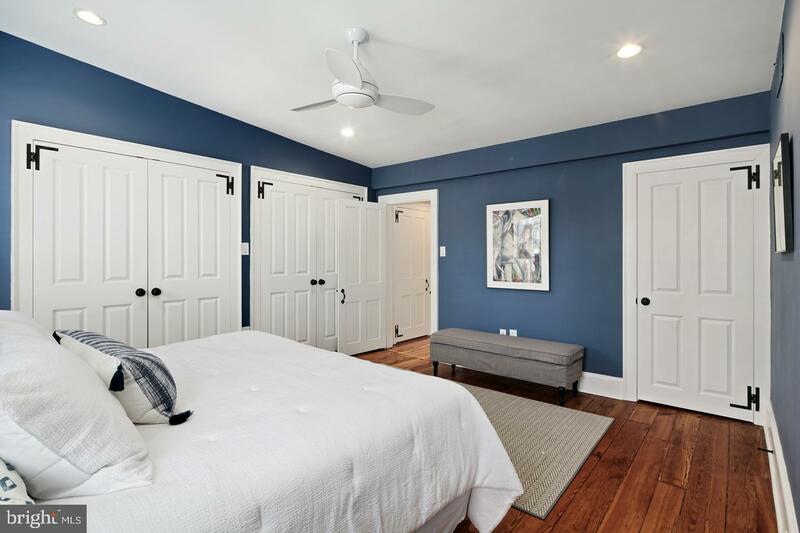 The bedroom is light filled and has built-in shelving, 2 closets that have been custom outfitted, plus a fully customized walk-in closet. 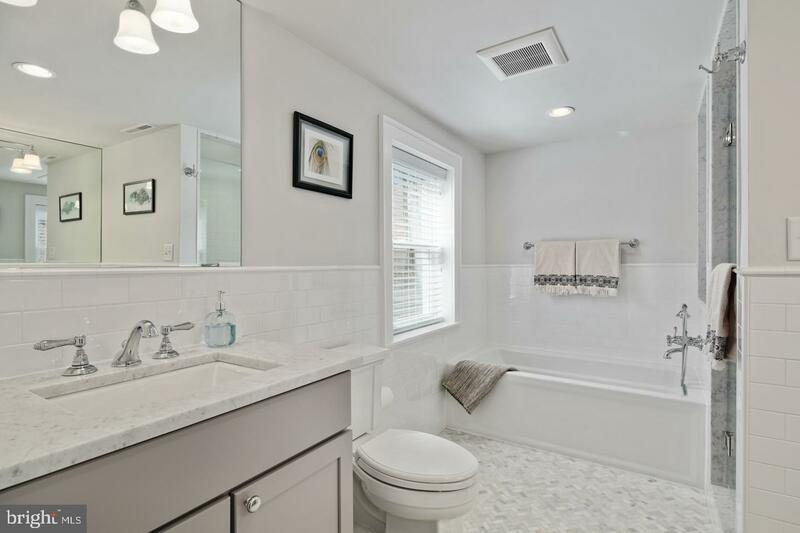 The bathroom is stunning with 2 separate marble vanities, herringbone marble tile floors, a glass enclosed shower and separate soaking tub. 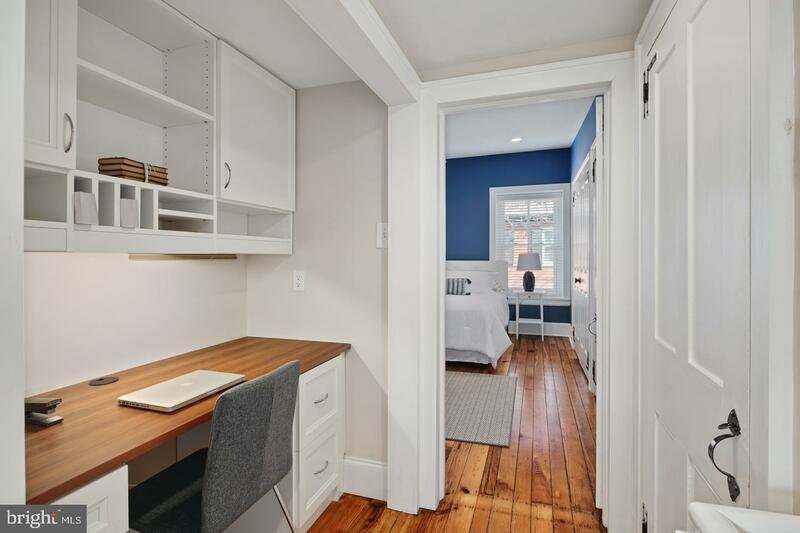 Also in the master suite is a built-in home office with beautiful wooden desktop. 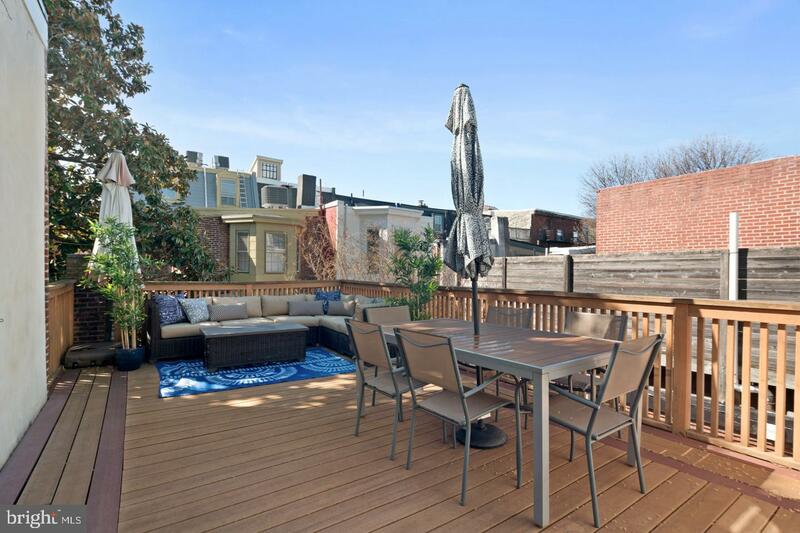 Off of the 3rd floor is a private & serene roof deck with ample space for entertaining. 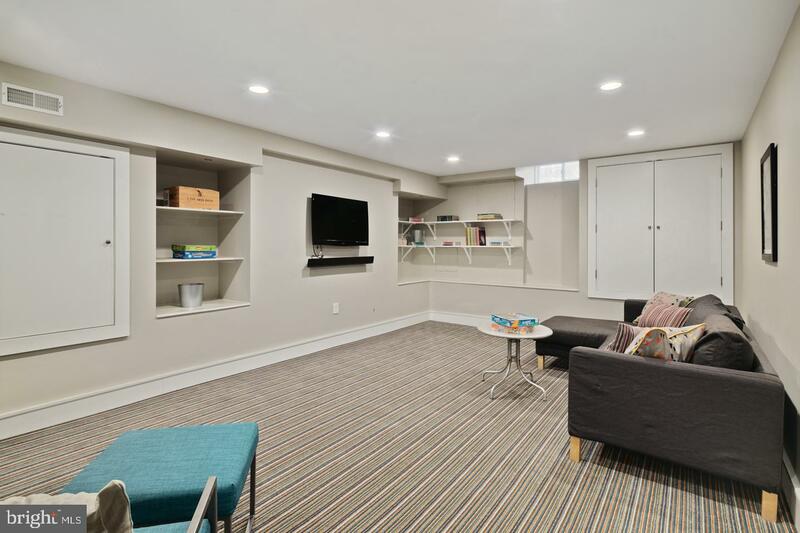 The basement offers additional living space -- it is fully finished and complete with a powder room - perfect for use as a playroom, TV room, or home gym! 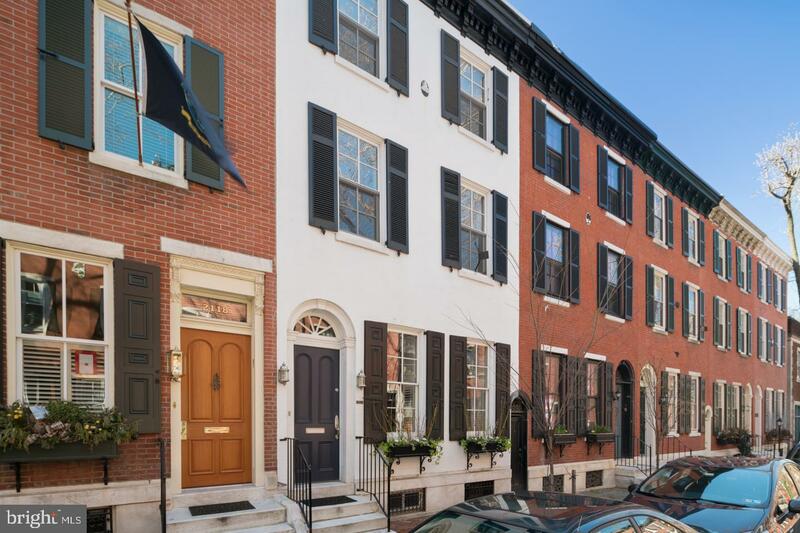 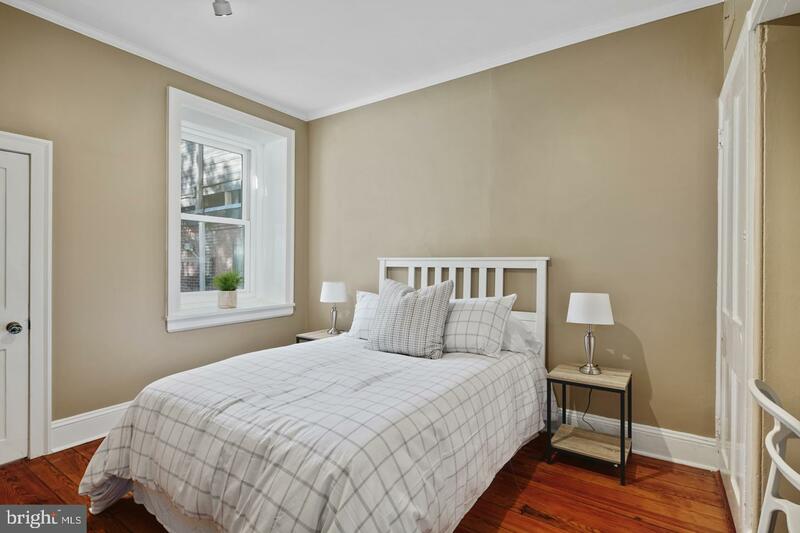 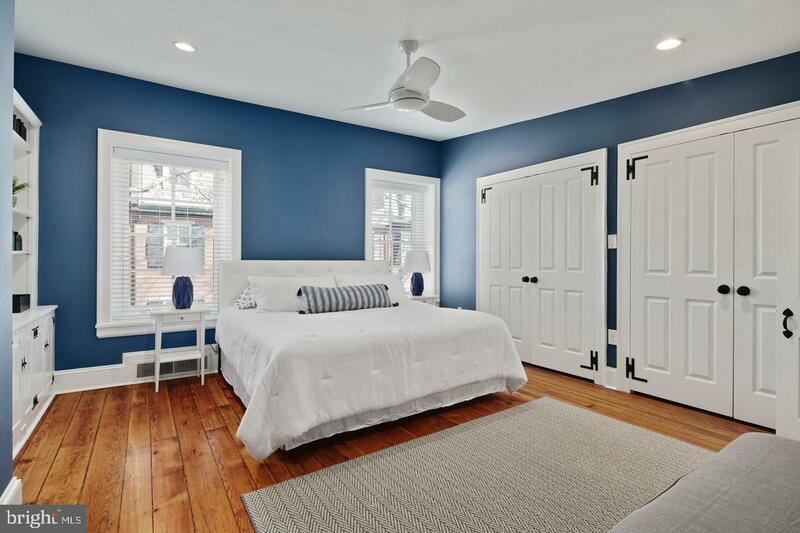 2120 Delancey Place also features new windows throughout, 2 zones of HVAC, plus a dream location with easy access to all the excitement of Rittenhouse Square, the recreation of the Schuylkill River Park, and the charm of the Fitler Square neighborhood.